Licensed contractors earn twice as much or even more as contractors without a license make, and depending on where you live, you might find that you can only work once you obtain your license. Contractors install roofing materials, build additions on homes and work in other construction fields. If you think that you don't have time to earn your license, give some thought to getting your license online. Unlike online degree programs that require you spend years taking courses and completing assignments, online contractor courses require much less work on your part. Most courses feature a combination of videos that you watch and documents and texts that you read. You may also need to complete some assignments and take a few tests or quizzes before obtaining your license. What are Some Benefits of Studying Online? 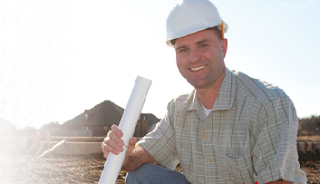 One benefit of taking an online contractor license course is that it gives you more free time. Instead of spending long hours studying, you'll have more time to spend with your family and friends and more time for working and gaining experience in the construction field. Online programs may also alert your state that you received your license. This makes it easier to register with your state and show potential clients that you have a license to work as a contractor. As many contracting companies require that workers have a license before accepting a job, earning your license puts you one step closer to working in a field that you love.